Chance to Hear the Band – For Free! 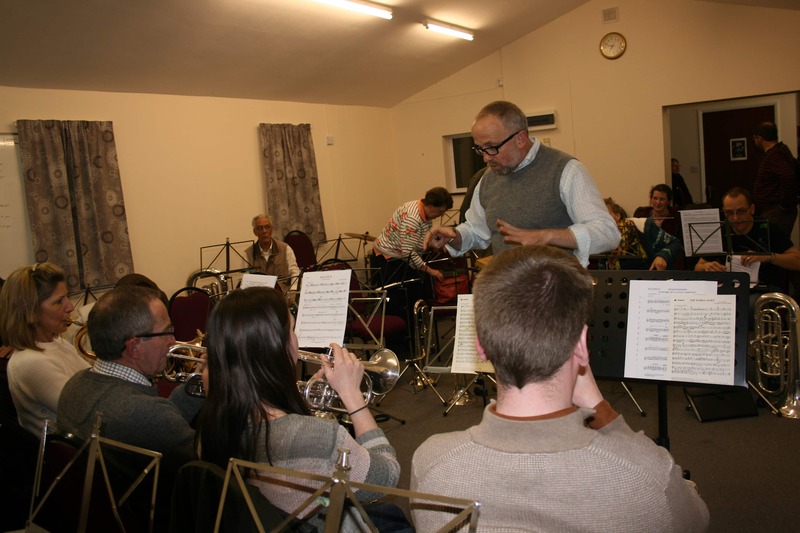 Fans of the popular Alford Silver Band will get the chance to hear the band play for free on Saturday 21st April when it performs in the newly refurbished Corn Exchange in Alford’s Market Place, the concert starting at 7.30 pm. Musical director David Boorer has brought all of his extensive experience from the Royal Marine Band Service in preparing the band to deliver an exciting and varied programme of music. “I’ve really tried to stretch the band musically since taking over as musical director,” he explained, “and the players have responded well. They have put in a lot of hard work – and have put up with my demands for excellence. It doesn’t matter that we are not paid, professional musicians. Our audiences expect a high standard, and that’s what we intend to deliver. David himself will feature as a soloist for one piece accompanied by the band – though he will not be playing a traditional brass band instrument! The band’s emerging musicians, Brass Tracks will also join the band for one number, as well as demonstrating their emerging talents with a short programme of their own. Entrance to the Corn Exchange will be free, though there will be a raffle and a retiring collection for those who wish to make a donation to the band’s funds. Pre-booking is not required; but early attendance is recommended as the best seats will quickly be taken.